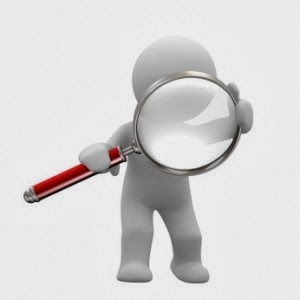 In windows 7 the search option bit changed compare to XP in this article you will learn how to search file, folder, text content in particular drive or computer . Sometime we forget the file or folder name but we remember the some text content of the file. So you can search or find file and folder by using text content of files. 1. 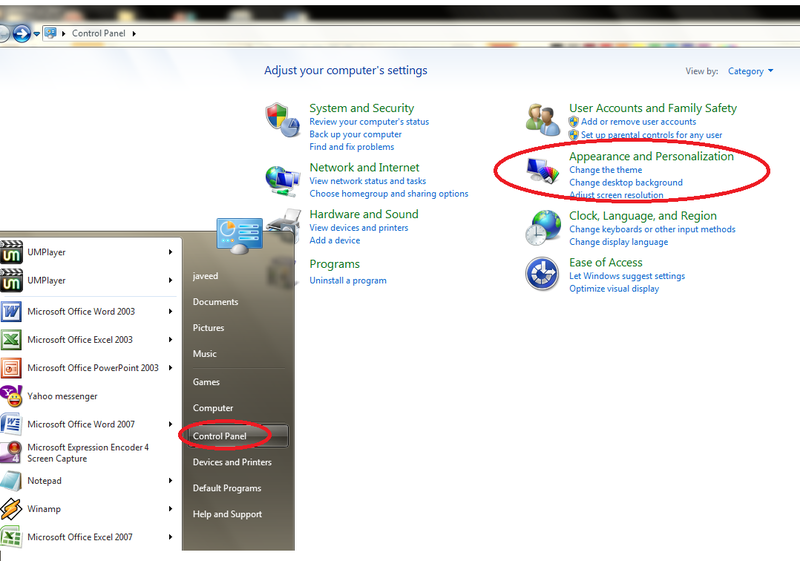 Click on "Start"-"Control Panel" - "Appearance and Personalization"
2. Click on "Folder Options" - Search"
4. After this click "Apply-OK"
5. Now press "Windows key+F"
6. Type file name or text in search box and press "Enter"
7. 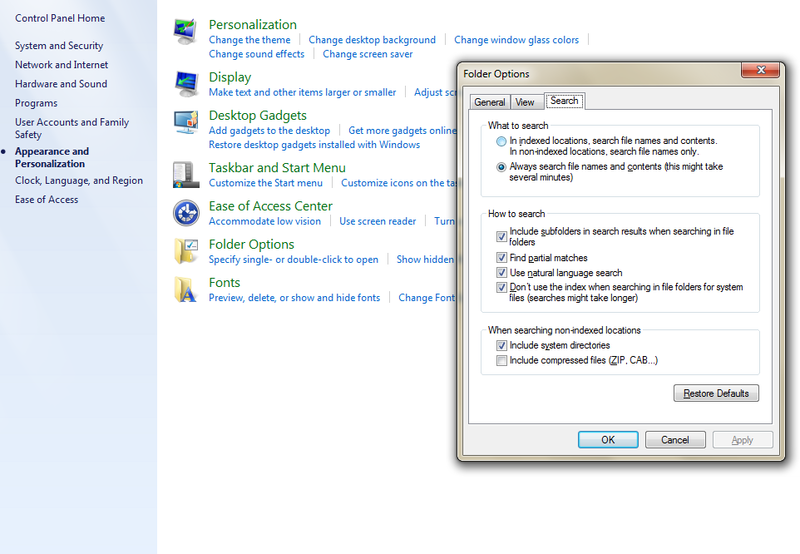 You can also search customize in particular drive.